Join in the fun along Firebreak, Spider Woman, Crooked Pine, Midlands Mtn and Lost Creek…no these are not featured films but rather awesome mountain bike trails, right in the middle of Columbia. 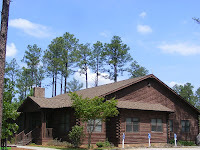 Yes, that’s right, just minutes from downtown off of I-20, you can indulge in 3-4 hours of pure adrenaline pumping fun at the Harbison State Forest Park. This will be the best $5 you will spend that week (free for kids under 15)! 12 miles of biking trails, from easy to moderately difficult to extremely difficult (Spider Woman – yeah guys we always like to play hard to get :-)), await you to escape the city noise and office boredom. Fresh air, healthy, good for your body and soul, awesome views, challenging and rewarding experiences…that’s an outdoor family activity worth shouting about! 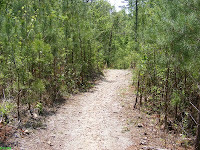 Get out there and have fun in the serene and always welcoming Harbison State Forest Park! Ready for some biking fun under the sun? 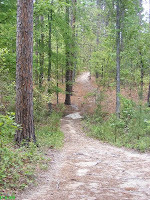 At Harbison State Forest park there is a trail for everyone from the novice to the occasional bicyclist to the passionate mountain biker. 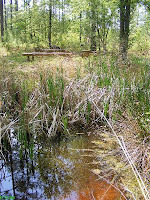 You can drive and park your car to most of the biking and hiking trails; there are 6 parking lots in the park; each biking trail has multiple entrance points and connections to other trails; this way you can combine sections from different trails, with varied levels of difficulty, to make your trip to the park more interesting. 3. All biking trails are cleaned and well-maintained; there are rest benches throughout so you can stop, take a water or photo break and just enjoy the view. There are 3 restrooms in the park. 4. Each trail is color-coded and has corresponding signs throughout its course. 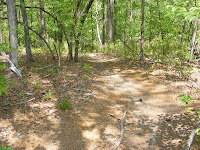 Further each trail is divided into alphabetical sections with their distance clearly marked on the map. To make things even easier, there are overall maps at most connection points to tell you where you are inside the park and how much distance is still left. This makes it very convenient to orient yourself and to plan your time and next move as you go along. 6. Safety first. Wear your helmet, carry water (there is only one drinking water fountain at the Education Center), put on sunscreen and bug spray, bring your cell-phone (there is strong signal throughout the park) and travel with someone (or at least let your family and friends know your trip plans for the day). 7. Best time to ride is in the morning and if you can make it during the week. I went Friday afternoon and during my 2.5 hours adventure on 3 different trails I ran into 3 bikers, 2 joggers and one lady walking her dog. 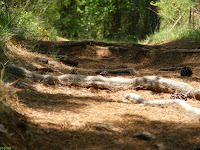 If you want more details about fun things to do with kids while at the Harbison Forest park check this post. Ready to upgrade to 4 ATV wheels ride and adrenaline pumping canopy zip-line? Then go visit Carolina Adventure World, just half an hour drive from Columbia off of I-77. Happy Riding in the South Carolina Outdoors! Looking for a nice, relaxing, cheap and outdoor fun family weekend getaway? 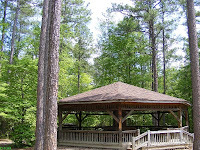 Columbia residents are spoiled with a 2000 acres “playground” at the Harbison State Forest park only 9 miles from downtown. 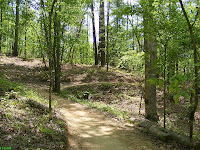 The Harbison park is one of the largest public green spaces inside the city limits of a metropolitan area in the eastern United States. 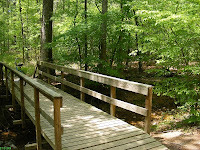 16 miles of roads and trails weave through pine and hardwood forest crossing streams and descending through leafy glades to the Broad River. 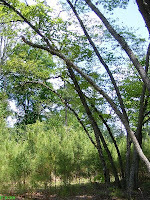 Harbison Forest soil once formed one of the first ocean ridges on the coastal plain. 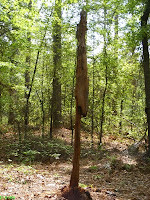 Thousands of years ago Catawba and Cherokee tribes traversed these woodlands to reach the Broad River. European settlers followed and formed the Dutch Fork farming community. Is hard to believe this entire area was covered with cotton up until early 1900’s! 1. If you live in Columbia and like to mountain bike get the $25 annual pass, it will pay for itself after 5 visits. 2. 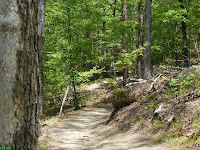 You can drive your car through most of the park and start on different biking and hiking trails. If this is your first visit start at the Education Center. You can ask get tips from the park rangers about each trail, use the very clean rest-rooms, fill up with water, get a very handy trail map and other park brochures. 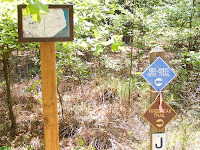 From here you can hike Discovery to the Gazebo or the Learning trail which loops around the center where you can admire the picturesque Vernal pond; also from the Education Center you can start your biking adventure on the versatile Firebreak Trail. 3. 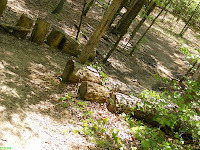 Keep kids entertained and let them be explorers for a day on the Stewardship Trail Forester’s Walk. 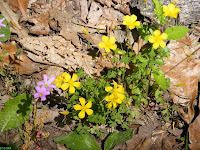 There is “detective” like guide at the trail entrance covering 26 noteworthy stops along the trail. The whole family can learn about uneven aged forest management, seed trees, artificial regeneration, perennial creeks, natural tree competition, bottomland hardwoods, and how to best spot wildlife. 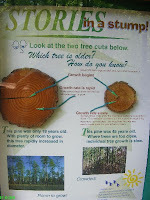 Guess the age of trees and how each disappeared, talk “forestry” (like go 2 chains) and see traces of historic farms. Did you know that insects like the southern pine and black turpentine beetle and diseases kill more trees a year in South Carolina than wildfires? How about seeing a bike on tree? Well check it out for yourself. 4. Kayaks and canoe enthusiasts need to complete a float plan at the Education Center to get access to the landing; there is a gate at the Stewardship Trail entrance blocking the road leading to the boat landing; most likely a ranger will need to let you in (unless you rather prefer to back-carry your gear the remaining 1 mile to the river); there is no extra fee for using the river. 5. There are 3 restrooms in the park all functioning, however only the one at the Education Center has drinking water available. Directions: From I-20 take the Broad River exit and continue on 176 West towards Irmo. Drive pass SLED, Juvenile Correction Center and the Police Offices Hall of Fame. The park entrance will be on your right. Admission tickets: Adult $2, SC Seniors $1.25, under 15 years old is free. Biking daily permit is $5 and includes access to the park.